Located in the east, on the edge of Russia is a settlement called Asoria. It is one of the countries of New FF and is run and moderated by teaflower. 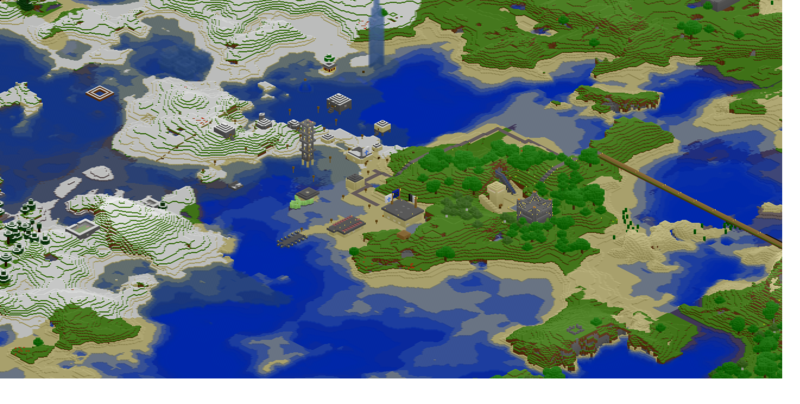 About half of the town is located on the hills and beaches just before the ice biome, and the other half is located in the icy hills or even on the ice. The city is constructed to be as open to everyone as possible. There is a Town Hall where grievances can be aired, several houses built simply for people to live in them, an Embassy, a jail, a post office, a shop, and several other interesting buildings. Of note just outside of the border of Asoria is Frostkeep, and marking the edge of the border is the Ice Spire. Asoria is perhaps the most easily accessible country, mainly because people know where it is. As such, it has many residents. These include Holt, who created and manages Old Asoria. Other things of note include The Road to Asoria, a vast road reaching from Nespon to Asoria and passing over The Archway Desert.